You can have unlimited addon domains. An addon domain allows you to create additional domains (domain1.com, domain2.net etc) and point them to subdirectories. With this feature you're allowed to manage all your domains within one FTP account. Your web hosting account comes with unlimited pop3 email accounts. You can setup them in your control panel. Your web hosting account comes with unlimited MySql databases. You can setup them in your control panel. Your web hosting account comes with unlimited subdomains for example marry.domainname.com etc. Your web hosting account comes with unlimited parked domains. You can setup them in your control panel. You can create unlimited number of mailing lists. You can use the built in Mailman software for this or install your own software. Your web hosting account comes with unlimited ftp accounts with 24x7 non-stop access. Your web hosting account comes with unlimited auto responders. You can setup them in your control panel. Your web hosting account comes with unlimited email forwarders. You can setup them in your control panel. Our servers allow you to send from your own SMTP server (mail.yourdomain.com). With this capability, you can send email from you@yourdomain.com etc. We cater for the programmer needs and thus your web hosting account comes with the latest versions of these hottest programs. All applications are updated frequently. "CGI" stands for "Common Gateway Interface." CGI is the method by which a web server can obtain data from (or send data to) databases, documents, and other programs, and present that data to viewers via the web. More simply, CGI is programming for the web. Every web hosting account gets its own cgi-bin. What does this do for you? It can help you retain visitors who may leave if they get for example the standard "404 page. Instead of a "File Not Found", they can be directed to an error page with a professional appearance that can redirect them to another page of your site. Same goes for other error pages as well. You can password protect those directories that you do not want your regular visitors to view. This can easily be done in your control panel. Limited HTTP audio/video streaming is allowed on our web servers. Kindly do not abuse this feature. If we determine that you are abusing the system in terms of illegal content or causing heavy loads on the web server, then PMDesign.biz reserves the right to suspend/terminate your hosting account. We believe that Shared SSL is not a professional solution for e-commerce and should not be considered as an alternative for a full SSL certificate. Shared SSL looks like this - https://secure.someotherdomain.com/~username/securepage.htm. Real SSL looks like this - https://yourdomain.com. If you buy your own SSL certificate, we can install it for you absolutely FREE!!! Our servers support Server Side Includes (SSI), a method of calling code into a page. SSI makes it possible for you to include a snippet of html code onto a page or a group of pages. SSH access is available on demand. Requires ID verification. The Site Statistics feature gives you access to your site's web statistics, such as hits, transfers, etc. We use latest statistics software's like Webalizer, AwStats , etc. Incase you decide to buy/use your own SSL certificate, you will need a dedicated IP address. You can get your very own IP address for $30/year. We provide 24x7 non-stop friendly technical support. Our staff is available round the clock for any assistance, you may require regarding your web hosting account with us. We use the latest brand and the best configurations available in the market. Your data is stored on ultra fast servers which promise reliability and security. 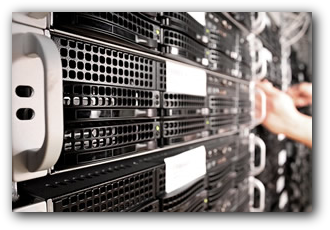 We promise 99.5% server UPTIME for all our hosting plans. We can issue you a full refund incase you are not satisfied with your web hosting account within the first 30 days of service. Cancellations out of the 30 day period will not receive a refund. 1. Agora Shopping Cart: The Agora Shopping Cart is a fully featured shopping cart that can be installed with the click of a button. 2. osCommerce: osCommerce is an easy to use and configure shopping cart system. Your control panel comes with a built in File Manager used to organize your important website files. It also has the facility of uploads etc. Your control panel comes with a built in domain manager where you can managed your unlimited subdomains and parked domains. A parked domain is a domain that is parked to the main public_html directory of the main site that is created on our server. FREE Webmail - Check Your Email From Anywhere In the World! Your web hosting account comes with THREE FREE webmail programs. You can access your email from anywhere in the world. Webmail programs include Neomail, Horde and SquirrelMail - Webmail for Nuts! Spamassassin is a mail filter to identify spam. You can control its features using your online control panel. MX Entry allows you to transfer control of your email functions to another server. You can modify MX entries incase you are using your own email server. Simple CGI Wrapper - This is a cgi wrapper that will allow you to run cgi scripts with your userid. Random HTML - This is a random html generator. It picks a html string out of a list and inserts it in an SSI enabled web page. This is useful for "Quote of the Moment", and other similar things. Counter - You can create a counter to count how many visitors have been to your site. Clock - This utility will create a real time java clock for your site. You can create a countdown box to countdown to a specified date. Entropy Banner Rotator - This feature allows you to create rotating banner ads. phpMyChat is a famous chatting software based on php and mysql database. You can install it by using your online control panel. phpBB2 is an excellent FREE forum software for running your own online community. You can install it by using your online control panel. Your control panel comes with an online search engine submission tool. You can submit your site to top search engines like Google, alltheweb, directhit, hotbot, lycos, mixcat etc. PMDesign offers *reseller hosting through eboundhosting.com, one of the best hosting companies on the internet. Our hosting package includes the features below for only $48.00 per year. We know how important it is for a small business to watch every business expense and our hosting is the best value at the most reasonable price. Combine our reliable hosting with our website service agreement you can be assured that your website is always up to date and available when your clients visit.